Some colors stimulate creativity, others open appetite, others on the contrary transmit calm and well … What is clear is that the colors do not leave us indifferent at all. That’s why they are so important to decorate every room in the house. 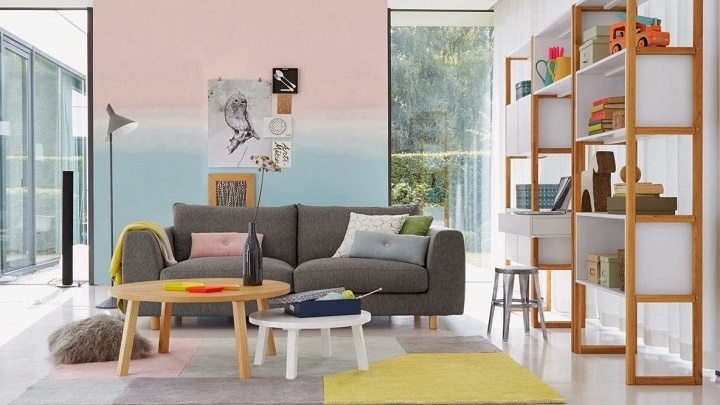 Not only help us to achieve more attractive rooms, but are also key to creating the desired atmosphere and transmit the appropriate function of the room and use emotions involved. Therefore, in BixiDeco we have prepared this little guide with the best colors to renovate the decor of the rooms. You’d we get the colors! As we have mentioned many times in BixiDeco, colors affect our bodies and our emotions. The striking and intense activate our body and stimulate the brain, while light colors relax us. So, based on this fact, we must choose the perfect room for each color. 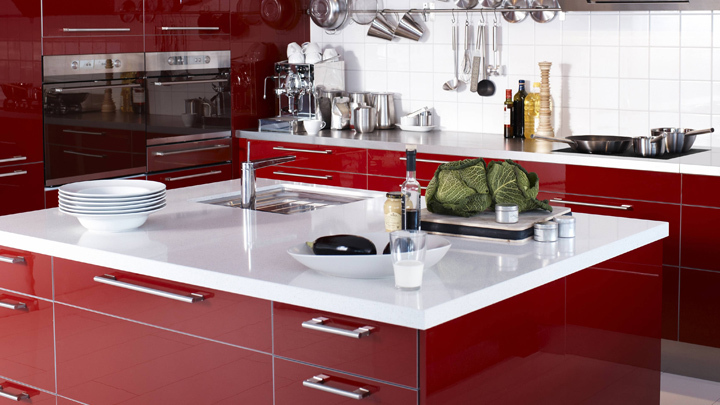 In the kitchen, red passion is a great solution to renew the decoration of this room, an intense tone that energizes and stimulates appetite. 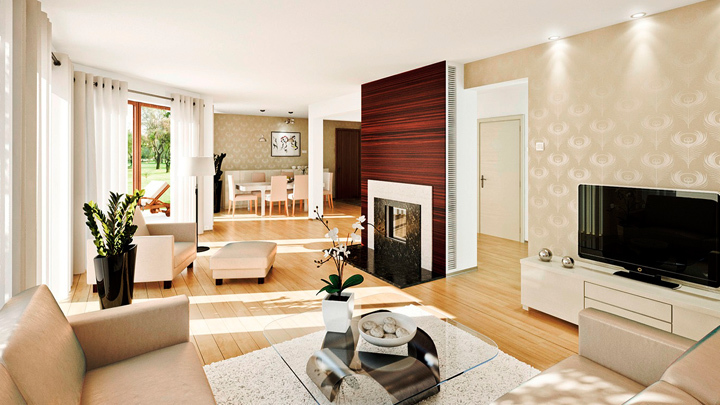 To avoid overtaxing the environment, our advice is to combine this color with wooden furniture and light color. Earthy colors like beige, cream, oil and many similar shades help us decorate a cozy lounge. Earth colors create an enveloping and warm atmosphere that is perfect in an environment intended for rest, as in the case of the room. In general, in this environment should choose light colors such as white and soft tones to achieve a sense of calm and relaxation. But do not limit yourself only furniture and accessories, and also you can use earth tones on the ceiling, floor and walls. A bedroom in blue and white colors inspired by the ocean, are ideal to refresh our decor and simultaneously transmit feeling of well being. 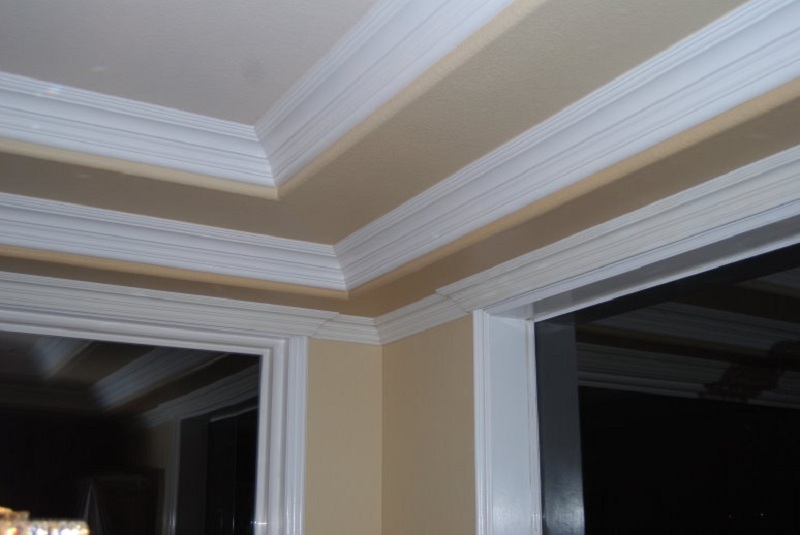 In warm climates, this color combination is a great option to cool environments. 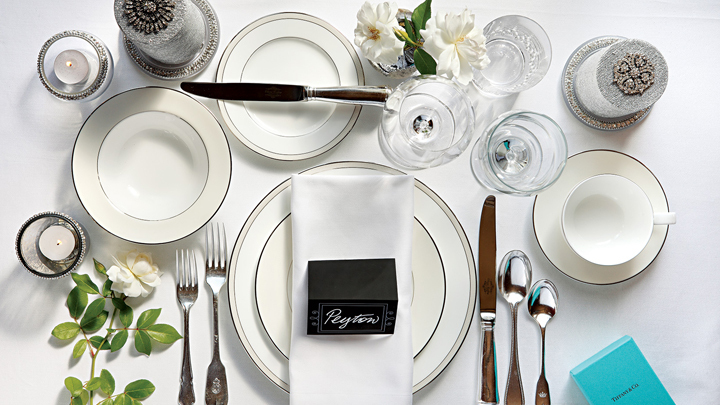 White helps us decorate bright, spacious and relaxing spaces. 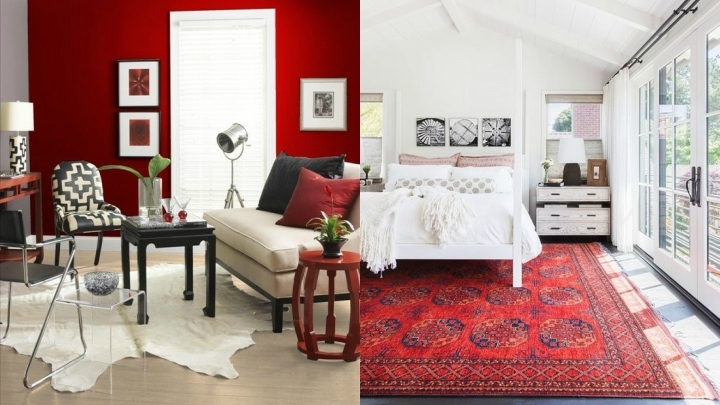 A color that needs some stronger to create contrast and avoid too monotonous tone decor. 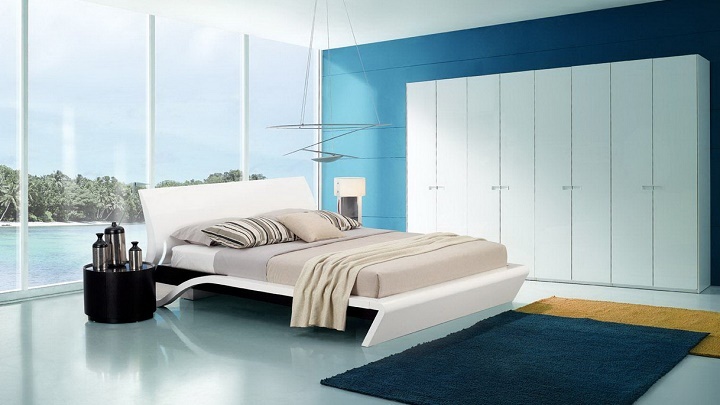 As it comes to decorating a relaxing bedroom, ideally choose a color like navy blue or turquoise. It has been shown that blue has a calming effect. However, prolonged exposure can cause sadness. That is why we must combine it with another hue as white and to find the perfect balance. Study and work usually gives certain laziness, so we must decorate a stimulating environment that encourages us and increase our energy. 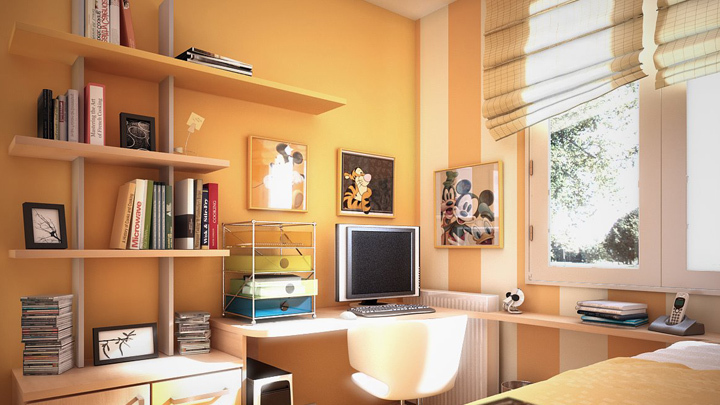 The yellow and orange are a great idea to renovate the decor of this room. Colors that stimulate mental activity, increase energy and raise our mood. White is a very common color in the bathroom. 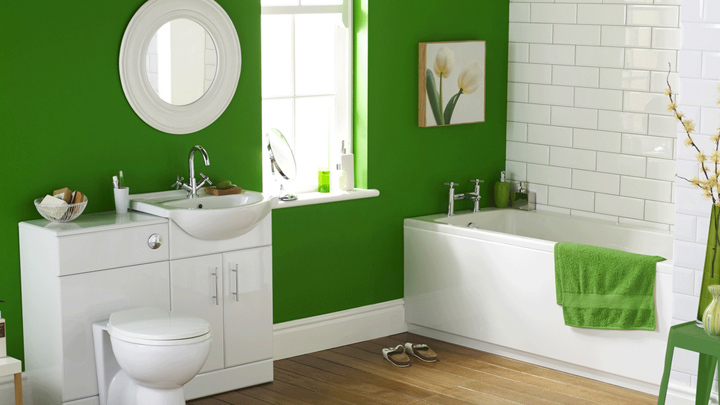 But as it comes to renew the decoration of our rooms with the most appropriate colors for each environment, we recommend choosing BixiDeco green for a quarter of a cool and relaxing bath. And the green relieves stress and has a soothing effect. So it is a great solution to decorate our own temple of relaxation and well being at home.